Shanghai, China – August 31st, 2011 – To celebrate the 35th anniversary of the RAYMOND WEIL brand, Mr. Heinrich Schellenberg, Consulate General of Switzerland in Shanghai, Mr. Olivier Bernheim, President and CEO of RAYMOND WEIL, Mr. Elie Bernheim, Vice president of RAYMOND WEIL, Mr. Helmuth Hennig, Group Managing Director of Jebsen & Co. Ltd and Mark Bishop, Group Director of Jebsen & Co. Ltd, attended the “RAYMOND WEIL New Advertising Inauguration & jasmine Collection Launch Ceremony”. The event, which took place in the Ritz-Carlton Hotel, Pudong, Shanghai, also announced the appointment of Mr. Jiang Wen and Ms. Zhou Yun as Brand Ambassadors for Greater China, together with the launches of the new jasmine collection and of the new model from the now famous maestro collection – the maestro Phase de Lune. The grand ball room of the Ritz-Carlton Hotel had been decorated as a concert hall for this big occasion. Performed as a concert, the whole event was composed of three chapters. 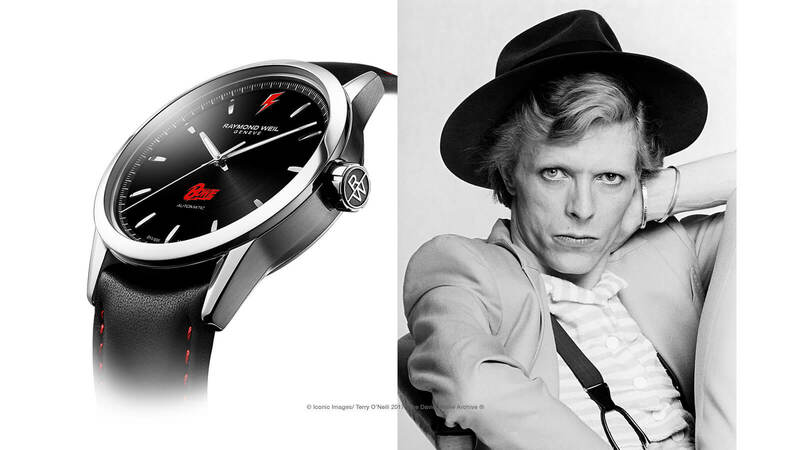 The first one, “Life of the Brand” was a homage to the RAYMOND WEIL Brand. The second one called “Jasmine’s blooming” announced the appearance of Zhou Yun, the RAYMOND WEIL female ambassador for Greater China and the launch of the jasmine collection. 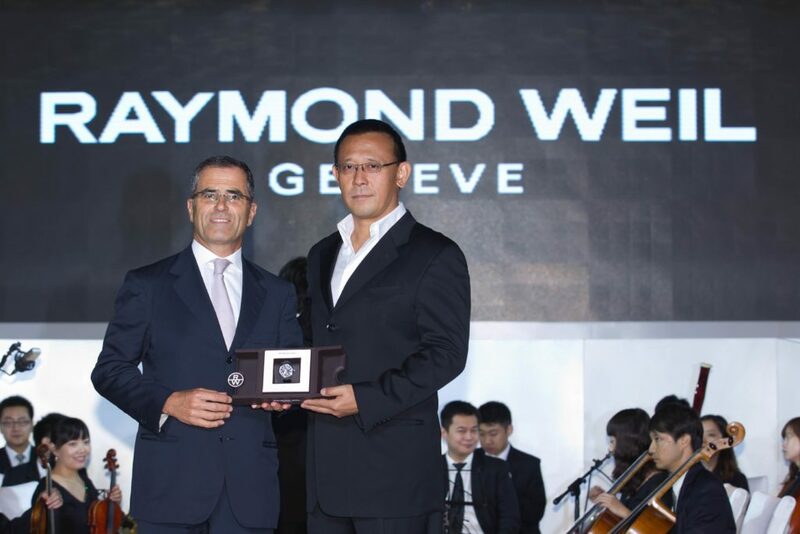 The third part, “Melody of the crown” was dedicated to the RAYMOND WEIL male ambassador for Greater China – Jiang Wen. The whole concert was conducted by the famous Shanghai Symphony. RAYMOND WEIL, an independent family-run company, is the first watch brand to have a renowned couple of artists as ambassadors – Jiang Wen and Zhou Yun. This prestigious couple embodies a value that is dear to both the Brand and Chinese tradition – family. Mr. Jiang, a world-famous actor, director and playwright, earned his well-deserved reputation with In the Heat of the Sun, a film he both adapted and directed. The film’s lead actor, Xia Yu, was awarded the ‘Best Actor’ prize at the 51st Venice International Film Festival and 8th Singapore International Film Festival. In 2011, for Let the Bullets Fly, he was honored as ‘Best Actor in Mainland’, ‘Best Director’ and ‘Best Film’ in the Global Chinese Top List and 15th Asian Influential Ceremony. Ms. Zhou, the other RAYMOND WEIL ambassador for Greater China, is as graceful as jasmine. In 2011, with her extraordinary performance in Let the Bullets Fly, she was honored ‘Best Actress in Mainland’ in the Global Chinese Top List and 15th Asian Influential Ceremony. In Golden Wedding, her impressive performance won her Best Actress’ in the 1st Asia Rainbow Awards. “Jiang Wen’s talent and Zhou Yun’s beauty represent the qualities of RAYMOND WEIL: Classic, Everlasting and Independent,” said Mr Olivier Bernheim. RAYMOND WEIL, a family founded and operated Geneva-based watchmaker, has enjoyed celebrated status in the Swiss luxury watchmaking industry since its establishment in 1976. The brand is imbued with a deep association with art and a commitment to the craftsmanship of high-quality watchmaking. RAYMOND WEIL, with its dynamic vitality and pioneering spirit, is regarded as one of the fastest growing watch brands in the world. 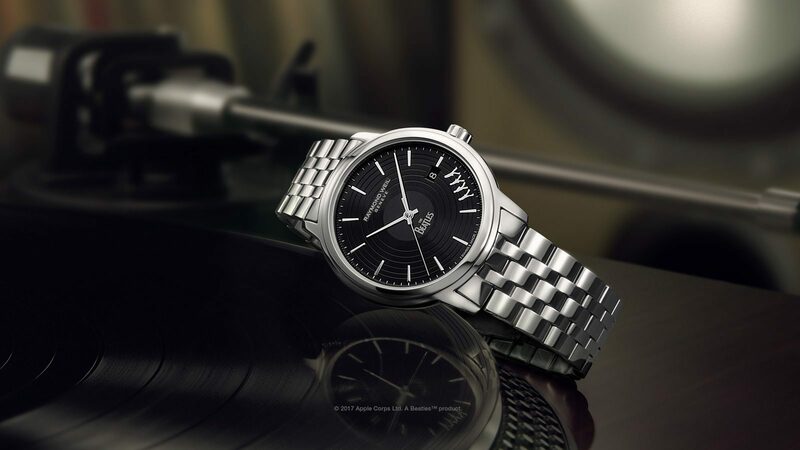 Music has always been at the centre of the RAYMOND WEIL universe, with musical connotations attached to the names of its collections, such as parsifal from Wilhelm Richard Wagner, nabucco from Giuseppe Verdi and don giovanni from Wolfgang Amadeus Mozart. The musical themes stem from the brand’s designing of unique timepieces for international artists and its partnerships with world-renowned music competitions. The RAYMOND WEIL watch collections, with their modern design, are unique and stylish. The men’s product line is emphasized by the mechanics of a watch, while the ladies styles are highlighted by their dignity and grace. Each collection is a beacon to Swiss watchmaking ingenuity, utilizing breakthrough materials and innovations. In 2011, RAYMOND WEIL launches the new jasmine collection, whose delicate style is like the beauty of a flower, and serves as a gift to ladies all over the world. The company also unveils the maestro Phase de Lune model, displaying a perfect combination of creativity and tradition.